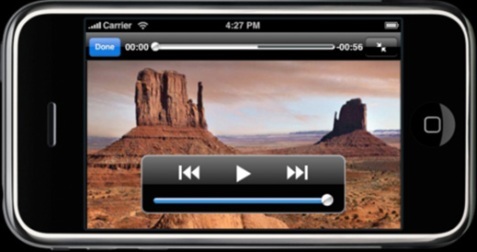 The leading company in web application acceleration and performance management, streaming media services and content delivery, Akamai Technologies, Inc. has announced variable bit rate (VBR) streaming support to deliver live and high quality video content for Apple’s iPhone and iPod touch. The VBR streaming was an impressive feature delivered in new iPhone 3.0 OS update, aiming to provide users a superior quality video streaming experience. According to the company, Akamai HTTP Streaming for iPhone is available as part of Akamai’s Media Delivery solution, delivering a high fidelity viewing experience at any bit rate, faster video start up times and reduced video buffering. Akamai’s iPhone 3.0Video Showcase site (iphone.akamai.com) has been set up to demonstrate this new solution, streaming live and on-demand video from content owners and publishers including Canadian Broadcasting Corporation (CBC), Discovery, FOX News, Martha Stewart Living Omnimedia, MTV, NPR, Turner Sports and USA TODAY.